General: Name. The name of the Chapter is the Washington Chapter of the American Planning Association. General: Purposes. The purposes of the Chapter are to facilitate the individual participation of members of the American Planning Association, to conduct the affairs of the Association, and to further the purposes of the Association in the Chapter area. General: Mission. The Washington Chapter of the American Planning Association provides leadership in the development of vital communities by advocating excellence in community planning, promoting education and citizen empowerment, and providing the tools and support necessary to meet the challenges of growth and change. General: The American Planning Association. 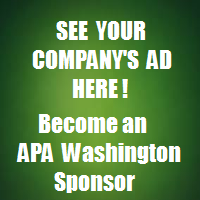 The Washington Chapter is an integral part of the American Planning Association referred to in these bylaws as the Association or APA. General: National Office. The term National Office refers to the national headquarters Office of APA designated to service Chapter and membership matters. General: Executive Director. Unless otherwise qualified, the term Executive Director, when used in these bylaws, refers to the duly appointed Executive Director of national APA. General: Address of Record. Chapter members shall furnish their “address of record” to the National Office. It is the member’s responsibility to notify the National Office of any change of address. General: Publication of the Chapter. A “Publication of the Chapter” shall mean any publication or document available to all Chapter members without special charge via regular mail, e-mail, posting on the Chapter’s website, or any combination of the above. General: Parliamentary Procedure. Membership, Executive Committee, and Board meetings shall be governed by Robert’s Rules of Order. General: Finances. Chapter membership dues shall be set from time to time by the Board through a proposal to the membership at the annual meeting, and be approved by voice vote at the meeting or subsequent mail ballot. General: Rebates to Geographical Sections. The Chapter shall provide rebates to Geographic Sections based on an equitable system considering the number of section members and the ability of the section to provide section member services. To be eligible for rebates, the section must (1) be in good standing with the Board in terms of attendance (no more than two unexcused consecutive absences per year of the Section President or their representative) at Board meetings, (2) submit a request to the Board complete with budget and a summary of how the funds will be spent and (3) Sections which receive rebates will be expected to report back to the Board at each Board meeting about the activities and services they have provided.. The amount of the rebate provided to each Section shall be set by the Board on advisement from the Section representatives and in accordance with Chapter policy and budget needs. Members: Eligibility. All APA members whose addresses of record are within the Chapter area are automatically Chapter members. APA members outside the Chapter area may join the chapter by notifying the national membership office and by paying chapter dues and assessments. Non-APA members may become Chapter members by making application and paying Chapter dues. Members: Annual Meeting. The Chapter shall conduct an Annual Meeting for the membership in each calendar year to be held at a location within the Chapter area unless otherwise designated by the Executive Board. The Executive Board shall determine the specific location, date and time of each Annual Meeting. Members: Notice of Annual Meeting. The Secretary shall notify the membership of the place, date and time of the Annual Meeting in a notice or publication of the Chapter, or by another communication, such as posting to the Chapter website, emailed, and/or mailed via postal services to each member at least one (1) month before the meeting. Members: Special Meetings. A Special Meeting of the members may be called by the President, by the Executive Board, or by a petition signed by at least five percent (5%) of the members of the Chapter. The President or the Executive Board shall set the place, date and time at a location in the Chapter area. Notice of a Special Meeting shall be given to members as in Section 2.3 and shall include a statement of the purpose of the Special Meeting. Members: Quorum Requirements. The quorum for Annual and Special Meetings and mail-in ballots, shall be five percent (5%) of the Chapter membership. Executive Board: Composition. The Executive Board shall be composed of the Chapter Officers and Section Presidents. The Executive Board shall formulate and monitor the Chapter budget on a regular basis. The Executive Board shall meet (in person, via conference call, or electronically) as called by the President and shall have the authority to conduct Chapter business when action by the Board is made impossible by timing or other urgent factors. Officers: Election and Terms. The officers of the Chapter shall be a President, President Elect, Past President, Vice President, a Secretary, and a Treasurer. The terms of office for the President, Vice President, Secretary, and Treasurer shall be two (2) years. The terms of office for President Elect and Past President shall be one (1) year. Terms shall begin on November 1 and end on October 31. The elections shall alternate between elections for President Elect on even years and Vice President, Secretary, and Treasurer on odd years. The President Elect shall serve one year as President Elect, two years as President, and one year as Past President. No officer shall serve more than four (4) consecutive years in the same office. In the event that an officer position is vacated prior to the end of a term, the Executive Board shall designate a replacement to complete the remainder of the term. Section 6.0 of the Bylaws provides additional detail on Elections. Officers: President. The President shall establish Board meeting agendas and preside at meetings of the Executive Board, the Board and the membership. The President shall provide leadership on the development of Chapter policies in coordination with the Board and on the preparation of the Strategic Plan (see Section 10.1). The President shall have power to create, appoint and discharge all Chapter committees with a majority vote of the Board. . The President shall call meetings and perform other duties required by these Bylaws, or customary to the office. The duties of the President (or his/her designee) shall include attending to correspondence, national election, and the day-to-day maintenance of relationships between the Chapter and national level. Officers: President Elect. The President Elect shall serve a one-year term immediately preceding becoming President. The President Elect shall oversee the functions for the Chapter and shall work with standing committee chairs (see Section 5.2) to provide continuous service to Chapter members. Officers: Past President. The Past President shall serve a one-year term immediately following service of two years as President. The Past President shall prepare a report of Chapter activities and accomplishments to the membership at a minimum on a bi-annual basis. The Past President shall assist the President as requested and deemed necessary. Officers: Vice President. The Vice President shall assist the President with overall Chapter responsibilities. The Vice President shall carry out other duties assigned by the President. In the absence of, or in the event of incapacity of the President, the Vice President shall assume the duties of the President. The Vice President shall perform such other duties required by these bylaws or customary to the office. Officers: Secretary. The Secretary shall: (a) notify members of meetings and prepare and report minutes of Membership, Executive Board and Board meetings and ensure such materials are posted to the chapter website; (b) transmit to the Executive Director of APA a list of all Chapter officers (including their addresses and telephone numbers) within thirty (30) days of their election; (c) notify the Executive Director of the results of all Chapter voting, and in so doing, specify the quorum and the number voting for each candidate or “aye” and “nay” on each issue; (d) prior to consideration by the Chapter membership, transmit to the Executive Director of APA proposed Bylaws or Amendments as required by the Bylaws of APA; (e) transmit to the Chapter administrator a copy of adopted meeting minutes of the Chapter ; (f) maintain a record of adopted policies, annually update the Board Handbook , and (g) perform such other duties required by these Bylaws or customary to the office. Treasurer. The Treasurer shall be responsible for oversight of the funds and securities of the Chapter and that all such monies are deposited in the name of the Chapter to such federally-insured institution(s) as shall be selected by the Board of Directors. The Treasurer shall provide or cause to be provided to the Board regular financial statements for the Chapter as established by the Board. The Treasurer shall assist the President, Vice-President and/or President-Elect in preparing an annual budget for review by the Board. The Treasurer shall in general perform all the duties as may be assigned by the President or Board of Directors. The Treasurer may have the assistance of staff in performing these duties. Board Composition. The Board shall consist of the Executive Board and Standing Committee Chairs. The above listed members shall be voting members. Other ex officio (non-voting) members may be appointed to the Board by the President or the Board. Board Duties. (a) manage the Chapter’s affairs; (b) adopt a Chapter budget; (c) report all business which it has considered or acted upon between Chapter meetings to the membership; (d) put the votes of the Chapter into effect; (e) authorize expenditures consistent with the budget; (f) establish task forces and ad hoc committees as deemed necessary, and (g) perform such other functions as are delegated herein or by the members of the Chapter. Board Meetings and Voting Requirements. Meetings of the Board shall be called by the President or by a majority of the voting Board members. The Board shall conduct at least three (3) meetings in a calendar year. A majority of the voting Board members shall constitute a quorum for the transaction of business at meetings of the Board. Any motion of the Board must receive at least a majority of the votes of the Board members present in order to pass. Board Attendance. Any member of the Board, with the exception of Section Presidents who are elected by their sections, who fails to attend two (2) unexcused consecutive Board meetings shall be deemed to have resigned and may be replaced by majority vote of the balance of the Board. Exemptions may be granted by majority vote of the Executive Board. All Board members are strongly encouraged to attend, or send a designated representative to, every Board meeting. Members may attend in person, by conference call, webinar, or other electronic formats. Board Vacancies and Removal. Vacancies in offices due to resignation, death or other causes shall be filled for the balance of the term by a majority vote of the Board of Directors. The Board of Directors may remove a board member by a vote of four-fifths (4/5) of all members of the Board. Committees: Nominating Committee. The Nominating Committee shall consist of at least three (3) Chapter members including the Past President or President-Elect or his/her designee. The Nominating Committee shall be appointed by the President with the advice and consent of the Board by January 1 of each year. The President shall appoint a Committee chair. This committee will be formed and operate when needed, but will not be a standing committee of the Board. Professional Development Committee. The Chair shall serve as Professional Development Officer. The duties of the Committee shall be: (a) to advise prospective members of the American Institute of Certified Planners as to the qualifications, purposes, and programs of the Institute, the AICP Code of Ethics and Professional Conduct; and (b) to advise members of the American Institute of Certified Planners concerning opportunities and/or requirements for professional development. Awards Committee: The Awards Committee shall conduct an annual awards program, which may be conducted jointly with the Planning Association of Washington. The Committee shall, among other duties, solicit applications, review, judge, and select award winners in designated categories. The Committee shall conduct an awards ceremony at a time to be designated by the Board. Membership Committee: The Membership Committee is responsible for membership recruitment and retention, which includes overseeing the updates to the Chapter membership roster, facilitation of new member needs, and assisting with the dissemination of Chapter literature and information. Communications Committee: The Communications Committee shall publish regular issues of the Chapter newsletter. The committee will solicit, review, write, and edit articles for the newsletter and shall establish editorial policy with the assistance of the Board. The Committee shall also provide oversight and guidance for the Chapter’s website. The Committee shall manage the budget for the newsletter and website, and solicit advertisements for both. Legislative Committee: The Legislative Committee shall prepare a legislative agenda, review legislative bills, give testimony on legislative matters of concern to the Chapter, be involved in legislative-related activities, and keep the Board and chapter membership informed regarding pertinent legislative issues. In addition, the Legislative Committee may propose potential legislation, with a majority vote of the Board. Continuing Education Committee: The Continuing Education Committee shall provide timely, accurate, and informative educational seminars and workshops. The Committee shall prepare an annual continuing education program schedule and will make opportunities for participation available to all chapter members. Scholarship Committee: The Scholarship Committee shall consist of representatives from the University of Washington and Eastern Washington University faculties and the membership at large. The Committee will raise funds to augment the Chapter Scholarship fund, promote and advertise the Scholarship program at each of the APA-accredited universities, review candidates, select scholarship recipients, and regularly report on the scholarship program to the Board. Annual Conference Committee: The Annual Conference Committee shall be responsible for planning and conducting the Chapter’s annual conference. The Committee should reflect broad representation of the Chapter membership and interests. Duties include, but are not limited to, working with the host city committee, preparing a budget for the conference, designing the conference program, soliciting speakers and panelists, and supervising the overall management of the conference. The Annual Conference Committee will submit regular written reports to the Executive Committee with regard to conference planning. A complete account of conference expenditures and revenues will be presented to the Executive Committee and Board within three (3) months or at the next scheduled Board meeting following the Annual Conference (whichever comes first). Planning Officials Development Committee: The Planning Officials Development Committee shall facilitate the participation of planning commissioners and elected officials in the Chapter. The Chair of the Committee shall serve as the Planning Official’s Development Officer. Community Planning Assistance Team (CPAT) Committee: The CPAT Committee shall implement a program to identify small communities without financial resources to address significant planning issue(s), and provide planning assistance on a “pro bono” basis. The Committee shall strive to provide assistance to at least one community per year. Tribal Planning Committee: The Tribal Planning Committee shall work to address statewide tribal planning issues. Elections: Method of Balloting. Election of Chapter Officers shall be by ballot of the membership. For an election to be valid, 5% of the membership must vote. Elections: Nominations. The Nominating Committee (described in 5.1) shall ensure, to the extent possible, that all major geographic areas of the State and demographic characteristics of the membership are represented by the slate of nominees. In addition to individual and Section solicitations, the Committee shall publish an article in the Chapter newsletter asking for interested members/nominees. Elections: Consolidation with National elections. Chapter and Sections elections shall be consolidated with National elections on a timetable established by National and following procedures established by National. Until such time as this occurs, the provisions in Sections 6.4, 6.5, 6.6 and 6.7 shall apply. Elections: Timetable. By March 31, the Committee shall convene, start contacting potential candidates, and submit an article to the Chapter newsletter soliciting interested candidates. By May 31, the Committee shall inform the President of its recommended slate of candidates and, if approved, shall ask each candidate to provide a profile and recent photograph for the ballot. By June 30, the ballots shall be prepared and distributed to all Chapter members via regular mail or electronic ballot. The deadline for receiving all votes in the Chapter office shall be no sooner than three (3) weeks after the ballot is distributed. By September 10, the ballots will be tallied and election results announced in the Chapter newsletter or electronic means. Elections: Tally of Ballots. The Nominating Committee or a group comprised of the Committee Chair and two others as approved by the President shall convene in person, via phone or electronically to tally the ballots received before the announced deadline. The ballots along with the tally shall be forwarded for certification to the Chapter Secretary and a second Board member as appointed by the President or two other Board members as appointed by the President, if the Secretary is one of the candidates. In case of a tie, the Board shall appoint one of the candidates to fill the office. The ballots shall be retained at the Chapter office for a period of 30 days (before recycling) following announcement of the winners per Section 6.3 in case any member petitions the Board for a recount. Elections: Announcement of Results. The results of the election shall be reported to the President and the Nominating Committee Chair by those certifying the election. Following this, the Chair shall inform all candidates by telephone (“in person” – not by leaving a message). The Chair shall then write the announcement of the election results and notify the membership. The results shall be officially entered in the minutes of the next Board Meeting following announcement of the election results. Section 3.2 of the Bylaws provides additional detail on Officer Elections and Terms. Student Representative: Nomination and Election. Student representatives to the Board will be selected by the APA Planning Student Organizations associated with Washington universities and colleges accredited by the APA. Student representatives will serve one-year terms. Student Representative: Duties. The Student Representatives shall serve on the Board and shall advise the Board and the Chapter on the conduct of services to students and the evolving character of planning education. Student Representatives may participate in Board discussions, but do not have a voting role in Board decisions. Ex Officio Members: Ex Officio members provide a link between the Board and other existing groups, special interests, or organizations. Ex Officio members of the Board may participate in Board discussions, but do not have a voting role in Board decisions. Ex Officio members of the Board may vary from year to year at the discretion of the Board. Sections/Districts: General. Sections of the Chapter represent geographic subdivisions of the Chapter area. Sections: President. The principal elected officer of the Section shall be titled Section President and shall serve on the Chapter Board. Sections: Committee Representatives. Each Section/District may name a representative on the Standing Committees with the advice and consent of the Committee Chair or the Chapter President. The Section President/District Representative shall inform the respective Committee Chairs when these appointments are made. Sections: Formation. Geographic sections of the Chapter may be formed by approval of a majority of the Chapter members whose addresses of record are in the proposed geographic area and upon approval of the Chapter Board. For the purpose of these bylaws, “approval” may be achieved by receipt of an email message, a written letter, a mail-in ballot, and/or a signed petition. The territory of a geographic section shall be a reasonably coherent unit and its name shall be geographically descriptive. Sections shall adopt Bylaws to govern Section affairs. Section Bylaws shall not conflict with these Bylaws or the Articles of Incorporation and Bylaws of APA. Copies of Section Bylaws or Bylaw Amendments shall be sent to the Chapter Secretary and filed with the Executive Director promptly upon their adoption. Sections Dissolution: The Board may propose to dissolve a geographic Section of the Chapter if the section is not functioning in such a way as to serve its members. When a geographic section of the Chapter is proposed to be dissolved, the Chapter shall initiate a ballot voting process (paper ballot or electronic). Approval by a majority of the members voting is required for the dissolution to occur. Those eligible to vote are the Chapter members whose addresses of record are in the designated Section geographic area. If a Section is formally dissolved, the Board will take action to incorporate the members of that geographic area into another existing Section. Districts: Until a Section is formed in an area or after a Section is formally dissolved, the Board shall establish geographic districts. A representative of each District shall be appointed by the Chapter President as a non-voting member of the Board. Bylaw amendments may be proposed by the Board or by petition signed by five percent (5%) of the Chapter membership (see Bylaw section 3.7 regarding transmittal to national APA). Bylaws amendments for Section 5.0 (Committees) and Section 7.0 (Student Representatives and Ex Officio Members) may be approved by the Board of Directors. All other Bylaw amendments require approval of the membership. The membership may amend these Bylaws by a majority vote either by regular mail or electronic ballot. A Bylaw amendment may also be adopted by two-thirds (2/3) affirmative vote at an Annual or Special Meeting of the Chapter membership, provided that the amendment is published in a publication of the Chapter at least one (1) month prior to the Meeting, that the notice of the meeting states that among its purposes is the consideration of the proposed amendment, and that a quorum is present at the Meeting at the time of the vote on the amendment. For Bylaw amendments approved by the Board of Directors (Sections 5.0 and 7.0), the approval requires that: (1) the text of the amendment shall be published in a publication of the Chapter at least one (1) month prior to the Board meeting at which the vote will be taken, (2) members shall be invited to provide comments in advance of the Board meeting, and (3) the Board shall review and consider member comments prior to voting. Voting on Bylaw amendments by the Board of Directors shall follow the rules of voting shown in Section 4.0. Strategic Plan. The Chapter shall update its strategic plan on a minimum 3-year cycle, and maintain a copy on the Chapter website for view by the members. For the Strategic Plan update to be adopted by the Board of Directors, the approval requires that: (1) the draft Strategic Plan shall be published in a publication of the Chapter at least one (1) month prior to the Board meeting at which the vote will be taken, (2) members shall be invited to provide comments in advance of the Board meeting, and (3) the Board shall review and consider member comments prior to voting. Voting on the Strategic Plan update by the Board of Directors shall follow the rules of attendance and voting shown in Section 4.0. Other Board Documents. The Board Secretary shall maintain records of adopted meeting minutes and adopted Board policies and shall update the Board Handbook (see Section 3.7). The Past President shall provide a report of Chapter activities to the membership (see Section 3.5).